A new standard in car has arrived at Kevin O'Leary Bandon. 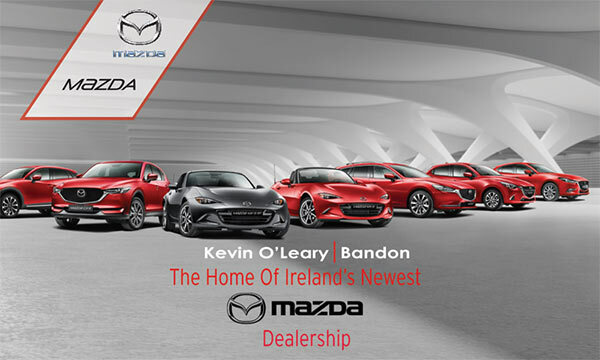 We are proud to announce our appointment as Ireland's newest MAZDA dealer. 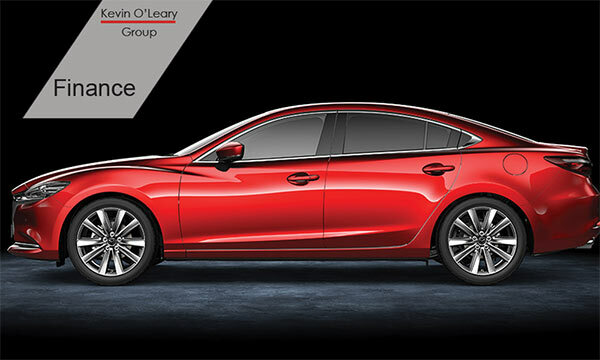 See the impressive MAZDA car range in our Bandon showroom only a 20 min drive from Cork City. Compact fuel-efficient engines, lightweight bodies and cutting-edge design combine to make MAZDA cars the most reliable and desirable cars on Irish roads. Click below to discover more about the impressive MAZDA range. 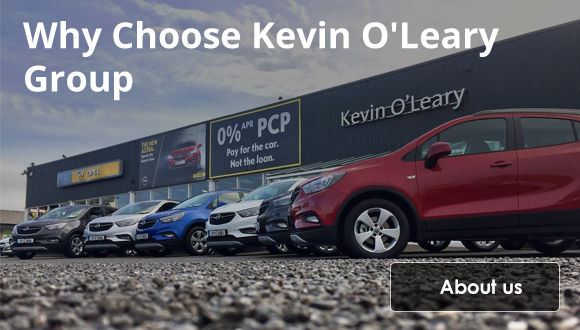 Kevin O'Leary Opel are authorised main dealers in Cork & Tipperary. 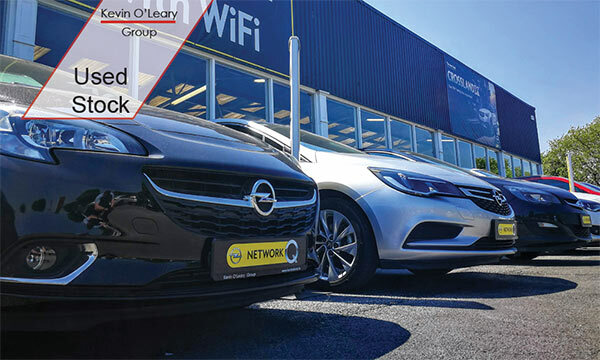 View the 2019 Opel range in our showrooms conveniently located in Bandon, Silversprings or Clonmel. This year we are celebrating the 120th year of Opel automobile engineering. Drop into any of our showrooms and discover the 120-year special edition models. These very special models are now available with customisable options and accessory packs. 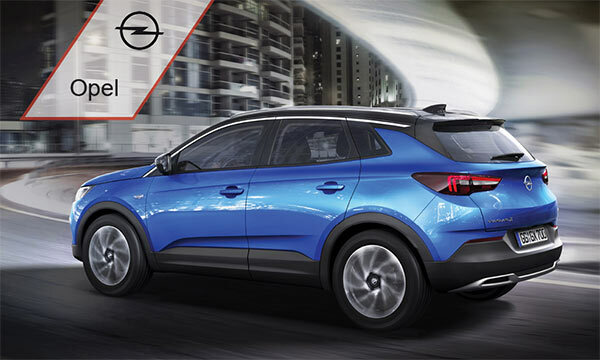 To find out more about the 2019 Opel range click below. Kevin O'Leary Silversprings is the premier Honda dealer in Cork. Honda is renowned for their quality vehicles, engineering quality, reliability, inventive technology and head-turning design. Thinking of changing or upgrading your car in 2019? Call to our Silversprings showroom and view the 2019 Honda range in our bright, modern and spacious showroom. We accept trade-ins and can even provide finance options for your new Honda. Call us on 021 450 3397 or click below for more info. At Kevin O'Leary Bandon, Silversprings & Clonmel we have a large selection of premium pre-owned stock. Whether you're in the market for an executive saloon, a sporty hatchback or a family friendly vehicle we have something for everyone. All our pre-owned stock comes fully serviced, with a full 120 muti-point vehicle check, verified mileage and vehicle history check. We accept trade-ins and we can provide finance with same day approval if approved. Click on the button below to view our pre-owned stock or drop into any of our dealerships to arrange a test drive. Car finance doesn’t have to be complicated, and at Kevin O’Leary Group it isn’t. Our finance experts can advise you on the various finance options available to you, and help you select a finance arrangement best suited to your needs and your budget. We deal with all the main finance providers and will shop around to secure the best deal available for our customers. We complete and submit all required paperwork on your behalf and keep the process hassle-free for you. We can get finance approval within 1 working hour. Caring for your car is not just a job for us, we are passionate about it. Servicing your vehicle regularly, in line with the manufacturer’s requirements, ensures your vehicle performs at its optimum. A full-service history retains the value of your vehicle and is required to maintain your vehicle warranty.Book your service with us and our fully trained technicians will service your car using the latest diagnostic machines, specialised tools and in accordance with your manufacturer's specifications. Not only that - we give all vehicles we service a free full 120 multi-point vehicle health check ... for your piece of mind. Check out our special offers across our dealership network. Don't forget to inquire about .......our fantastic low rate finance offers on all makes and models. I’ve dealt with Kevin O’Leary’s for several years now. I find the sales people I have dealt with very knowledgeable. I’m currently driving a CR-V and I really like it. 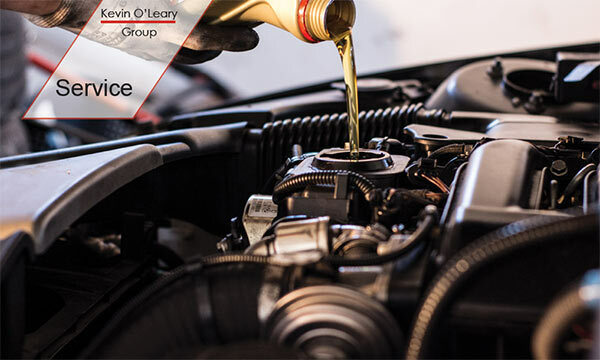 I have bought and serviced my car with Kevin O’Leary’s for the past 10-12years – I feel very happy with the service that I get and the people I deal with. Pleasure dealing with all the sales team in O Learys. Great Service. Top class to deal with. Recently bought my car here, had shopped around and by far the best. Dealt with James there who was a true professional. Very good customer service from the salesman, Patrick Fleming. I have been dealing with Patrick for 25 years. He will sort you out with the car that suits you. Quality business renowned for service and value. Excellent service, great value on cars and servicing, would highly recommend. Brilliant. Always do a great job. Friendly and helpful staff. Very professional, parts team always helpful. 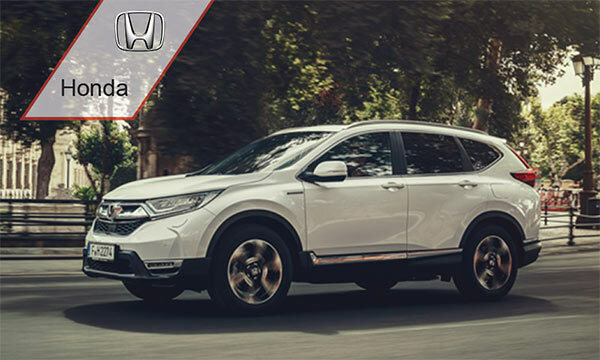 The All New-Honda CR-V is finally here! The fifth generation of the World's Best-Selling SUV, the CR-V’s design evolution means every detail has been enhanced. From its distinctive, bold styling to its confident new stance, it truly is our most refined CR-V yet. Check out or fantastic 191 offers and great low finance options NOW! Call us 021 4503397 to arrange a test drive or click the link below. Order your 191 Opel before Dec 31st and avail of 0% Finance, or 3 Yrs Free Servicing, or €3K min Scrappage.Call to any of our Opel showrooms in Bandon, Silversprings or Clonmel and talk to our sales team or click the button below to learn more about these UNBEATABLE offers.Sensational 191 offers on all Honda deposits before Dec 31st, Click below for more info. Make an instant impression. The new Opel Insignia benchmarks fastback design with its coupe-style contours and crisp lean lines. It combines striking looks and premium class innovations. It has arrived. The all-new 10th generation Honda Civic Sedan is here. Call to our Silversprings showroom and view the stunning sedan, take a test drive and talk to our sales team about our fantastic low rate finance offers. Check out our incredible used car selection available across our dealer network. All our quality used cars come fully serviced with a comprehensive 12-month warranty. We are one of the motor industries longest established motor groups with an exceptional and unparalleled record for customer service. Keep up to date. Follow us for all the latest offers, news and motor launches.